Self checkout machines may be good for supermarkets but they treat everyone like idiots by repeating their instructions over and over again with no regard for how many times you have already use them. 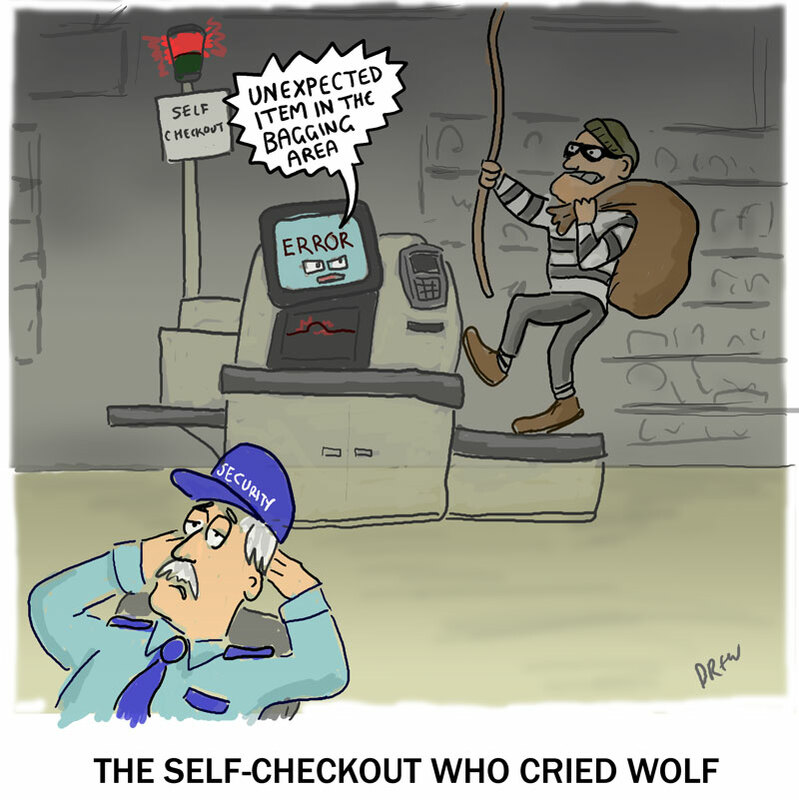 We already use ATM machines which have text and don't need to speak to us like toddlers so why do Self-Checkouts feel the need to constantly thank us for shopping after taking us step by painstaking step through a robotic shopping experience. Tonight's cartoon deserves to be a modern fable about the dangers of overly sensitive sensors being ignored by monitoring staff.